Oct 26, 2015) Wanna change it up a bit, and still get lots of touches on the ball? Now's your chance to play Futsal, fast-paced and action-packed modified soccer. Learn to play "small ball" on smaller fields and develop the skills to improve your game -- ball coordination, footwork and agility. This program is offered by International Academy of Soccer, sponsored by EYSA and the Boys' and Girls' Clubs of Bellevue and Mercer Island. Sessions start in November and run for 5 weeks, most wrapping up before the holidays. Choose to play in Bellevue or on Mercer Island. Prices range from $99-$125. Winter I season will begin in November 8th at the Redmond location. For details, click here. Lil' kickers is a national, non-competitive child development program for boys and girls ages 18 months - 9 years! Lil' Kickers experienced instructors use creative, high energy games to build self-esteem, coordination and help kids conquer the developmental milestones they face at each age. You can try a free class to get started. 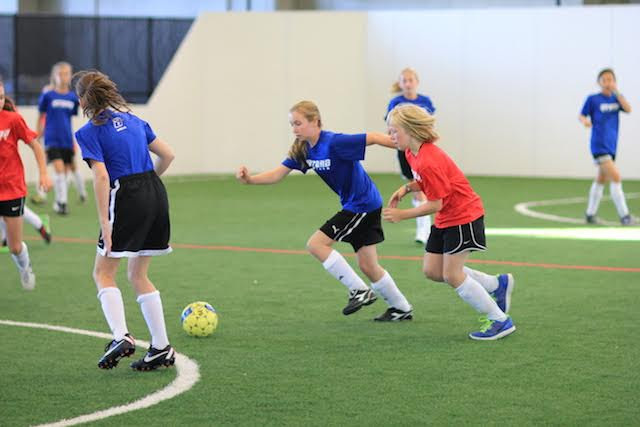 Skills Institute is a multi-level soccer development program that focuses on 5-12 years-old who love soccer and have a strong desire to improve their skills. Players are evaluated and assessed, and the program is adapted to a player's skill level. Arena Sports offers a free session to get you started.